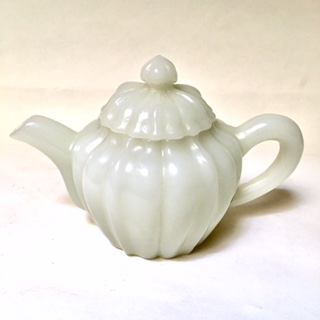 Jade carved teapot. Ornamental only. 5 1/2" width from tip of spout to handle and 3 1/2" in height.